Every superhero needs a good friend or companion to share thoughts with and feel normal. Superman has Jimmy Olsen, Batman has Alfred, and Daredevil has Franklin “Foggy” Nelson. Quite a lot of speculation has gone into who would be playing Foggy for Netflix’s upcoming Daredevil series. 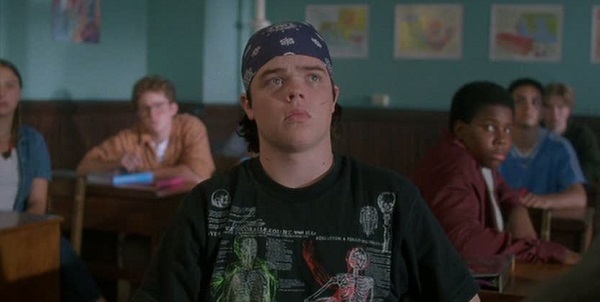 And now the clouds have parted and the Flying V is coming through, as Mighty Ducks star Elden Henson has officially signed on to be Charlie Cox’s best buddy. 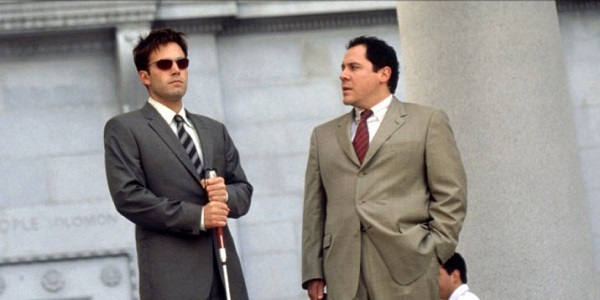 Foggy Nelson is a man of many hats, though it remains to be seen just how he’ll be portrayed by executive producers Steven DeKnight (Spartacus) and Drew Goddard (Cabin in the Woods), who also wrote the screenplay. He started out in the comics as the friend and law partner of blind lawyer Matt Murdoch, the alter ego of our red-cowled hero, but went from being a full-fledged character in his own right to more of a patsy for jokey conversations in between Daredevil’s hectic adventures. As Deadline describes it, “Nelson is tight with the Hell’s Kitchen community, making him a friend to many in all walks of life.” I like the idea of his story branching out to include characters beyond just Murdoch. You may recall he was played by Jon Favreau in Mark Steven Johnson’s 2003 feature, or maybe you’ve just blocked that movie out of your head entirely. Not a lot of details have come out about Daredevil, with the casting announcements serving as our biggest look into the project. Beyond Cox, we have the great Vincent D’Onofrio as lead baddie Wilson “Kingpin” Fisk and Rosario Dawson in an unnamed role. (Her path crosses with Daredevil’s and both of their lives are changed forever. But who is she?!?) Basically this is just one big crime drama in Hell’s Kitchen, NYC, which will eventually lead up to a miniseries that brings Daredevil together with Netflix’s other Marvel projects: Jessica Jones, Luke Cage and Iron Fist. So what else do you know Henson from, besides the second two Mighty Ducks movies? He continued with teen roles in flicks like Rodman Flenders’ Idle Hands and Jordan Melamed’s excellent Manic, and his adult career has been spent mostly on TV, appearing in series such as ER and the recently cancelled Intelligence. He also starred in the critical flop Jobs last year, but will be seen by almost everyone in the world when he takes on the role of Pollux in both The Hunger Games: Mockingjay – Part 1 and its sequel. Is Elden Henson a good choice for Foggy, or were you guys expecting someone with more comedic chops?